Those of you who visit my blog/social media regularly will have realised by now just how much we love Anglesey. It really is our “Happy Place!” and the most perfect place to go for a holiday with children. The beaches are beautiful, the landscape is stunning and there are lots of things to see and do! Favourites of ours are Penmon Point, Penrhos Coastal Park and Parys Mountain – just beautiful! My children love bathtime! Hair-washing is a different story though! My 3 year old daughter HATES having her hair washed – we’ve tried everything from special bath-hats to swimming goggles to try to make it better but she still screams at the mere mention of hair washing! So it can be a pretty stressful experience. Talking of bathtime…we recently reviewed Zimpli Kids Bath Slime and Bath Gel which are awesome! Dancing together in the kitchen is something we love to do as a family! We put Alexa on at her highest volume and bust some funky moves! Our favourite songs to dance to are Ant & Dec’s “Let’s Get Ready to Rumble” and Vanilla Ice’s “Ice, Ice Baby”! Clearly, we are very cool and have great taste in music! Ha! We have 2 pet chickens – Princess Sparkle and Jack Butland (Jack is a girl chicken but don’t tell my son!! We’ve had them since they were chicks and they’ve just started laying – very egg-citing! I have made the most AMAZING friends through being a Mummy. We have supported each other through thick and thin, shared the highs and lows of parenting and, of course, enjoyed many gin and tonics together! I love them all and am so lucky to have them in my life! As mentioned above, gin is a rather important part of my parenting journey! Obviously not during the day (!) but once the kids are in bed an ice-cold Gin and Tonic is well and truly deserved after a long day! Surprisingly, I still haven’t read Katie Kirby’s bestselling book, “Hurrah for Gin: A Book for Perfectly Imperfect Parents.” but it’s definitely on my reading list! I read a quote recently which certainly rang true with me: “Your kids don’t want a perfect Mum, they just want a happy Mum.” Nowadays, more than ever, women are under so much pressure to juggle everything – career, motherhood, housewifery (is that even a word?!) etc etc etc! Sometimes we just need to stop, take a step back and breathe – it’s difficult but it HAS to be done! Another quote…”You can’t pour from an empty cup” – so true! My Little Miss has an imaginary friend. His name is Josh Gonan (We don’t know anyone called Josh or anyone with the surname Gonan so I have no idea where that came from!!) He’s 6, he lives in Canada (but comes over to visit her on an aeroplane), he has coppery coloured hair, his Dad is called Johnny and his Mum is called Trixie!! As you can see, she has a very vivid imagination!! I don’t think you truly know the meaning of love until you have children. The amount of love that you feel for your tiny human beings is monumental and incomparable! I was put on this earth to be a Mummy. It was my one main aim in life and is the most important role I will ever play! Ha! An important word in parenting! One of the smallest words in the English language but certainly one of the most used words when you’re a parent!! We love spending time outdoors, whatever the weather. The beach is our favourite place to be but we also love going for a walk in the woods and den-building is a favourite activity of ours! This post which I shared this Winter describes some of our favourite outdoor activities. There’s no getting away from it – being a parent means you have to experience poo…in many forms! Or, more specifically #InstaReality! Parenthood is the most amazing thing in the world! But in reality, it can also be the most exhausting, stressful and demanding thing in the world too! I recently shared this image & #InstaReality caption on Instagram which was one of my most popular posts since I started my account! We LOVE the beach, whatever the weather! And I always feel so much better after a good dose of Vitamin Sea! I run the hashtag community #sandytoedkids over on Instagram for photos of your little ones (and you) enjoying the beach, whatever the weather. See here for more information and pics of my two getting their toes sandy! One thing that I didn’t really realise until recently is that it’s OK to have time out and to spend some time just being yourself, away from the children, to just chill out and recharge. It doesn’t make you any less of a Mummy and actually makes you happier and healthier in the long run. And as I’ve said above: “Your kids don’t want a perfect Mum, they just want a happy Mum!” For Christmas, I bought Mr. J a spa-break voucher at our favourite spa, “Moddershall Oaks” so we need to get that booked in the diary soon, as we both need a treat and some R&R! As my kids are getting older I am seriously having to perfect my umpiring skills!! They love each other to pieces but boy, they can bicker! On the beach, in the snow, jumping in muddy puddles, trampling through a field or even when you’ve come home from ballet class and can’t be bothered to get changed before going outside to play! 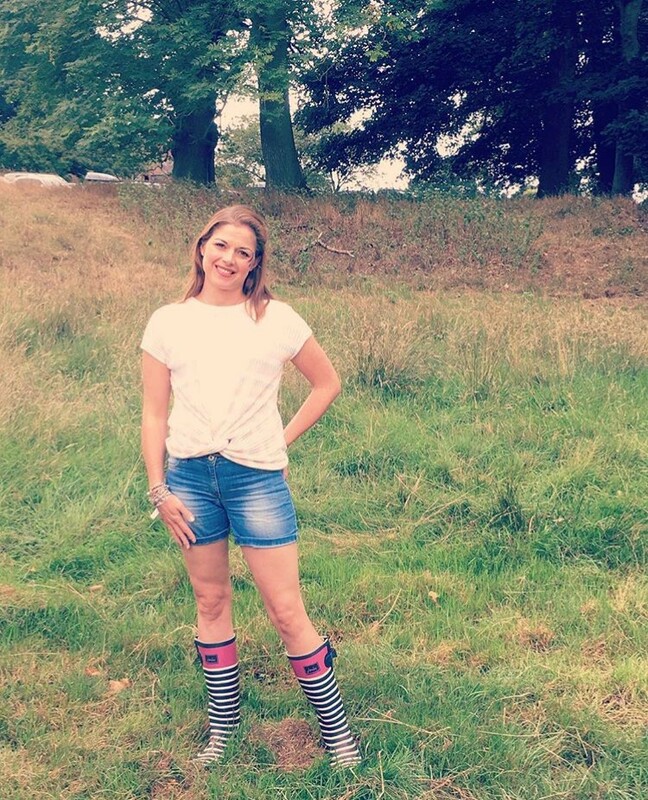 Wellies are an integral part of childhood, and therefore an integral part of parenthood too! See what I did there??!! But seriously, being a parent is wonderful, absolutely flippin’ awesomely, amazingly wonderful! And its definitely (e)xcellent, (e)xciting and (e)xtraordinary every step of the way! Y is for YUCK by Paul Rogers! This poem always makes me laugh and it’s quite appropriate for a post about parenting as it’s very relatable!! When you sign up to become a parent you also sign up to give up sleep for the next 18 years! I wrote this post in the notes section of my phone, before I’d even started blogging and when I found it a few years later it made me laugh so I had to share it! Some of these really made me laugh! Dancing in the kitchen and Gin! I loved these but the whole piece is great, I love your honesty.